Weatherization services include having an experienced heating contractor examine your heating system to make sure the heating system is safe and in good working order. Work on your furnace may include: clean and tune, repair, retrofit, and in some cases, replacement of the unit. Are at or below the current income qualification guidelines. If a household is eligible, one of the trained agency staff will assess the home and conduct an energy audit that will determine what work can be done to save the most energy. The work will be done by experienced workers using the appropriate materials. The work will then be inspected to make sure it is complete and correct. 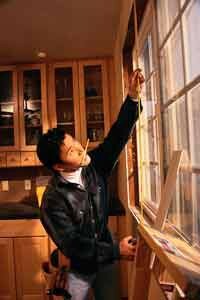 Find out if you are eligible for the Weatherization Program. Call (630) 553-9100.